The 5-Litz-7™+ Tonearm Cable comes in 2-4m continuous unbroken/uninterrupted lengths for direct re-wiring of the finest tonearms. Using our 5-Litz-7™ tonearm wire we added a 100% shield, the finest dielectrics and ultra flexible PVC jacket making it the perfect choice for manufacturer's of Tonearms and tonearm rewiring specialists. 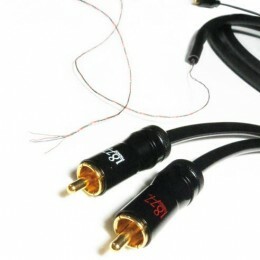 Ultra fine 33AWG featherweight multi-strand tonearm wire consisting of high purity fine strand copper. Utilizing our V-Wound™ technique our wire is super flexible without sacrificing tensile strength. Each strand is precision twisted for a flawless smooth uniform surface free from defect or stranding anomalies. Used by some of the finest tonearm manufacturers on the market and the perfect upgrade for new or vintage tonearms.